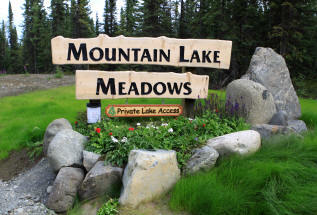 Mountain Lake Meadows is my grandparents 50 acre family "oasis." We just finished constructing a one of a kind residential/recreational development on the "Kenai." Check out the beautiful lots with lake access. What a "retreat" paradise and only 3 miles from the world class fishing of the Kenai River . . !